WBC heavyweight boxing champion Deontay Wilder reportedly turning down a $100 million multi-fight deal with the DAZN streaming service. Wilder is undefeated in his boxing career with a record of 40-0-1. In his last outing, Wilder and Tyson Fury fought to a Split Draw after 12 hard-fought rounds. Wilder scored a hellacious knockdown in the fight, which many thought could’ve been ruled a knockout. However, Fury survived and the bout went the distance and was determined on the judges’ scorecards. 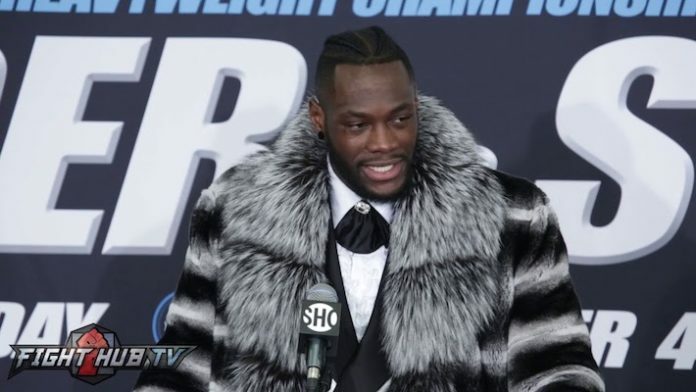 Where do you think Wilder will sign if he declines DAZN’s $100 million offer?